Bridgette Softley and Karen Betts first introduced the world to beautiful lashes in 2005. 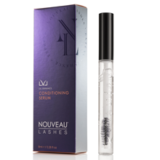 Since then, Nouveau Lashes & Beauty South Africa has inspired the industry and revolutionised the beauty market with UNIQUE professional lash treatments for everyone. We created and evolved EXCLUSIVE brands and treatments such as Blink & Go, Let’s Go and several celebrity striplash ranges. Our approach reinvents expectations. Our training leads the industry. 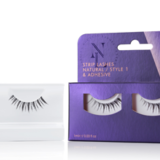 And our EXPERTISE in lashes remains second to none. We combine all of this to bring your clients the NATURAL lashes they long for and businesses the opportunities you deserve. We now offer three pioneering and competitive treatments within the lash industry; LVL Enhance, Extend and Express. We offer various training courses in each area as well as the Ultimate Lash Technician option to train in all three. We also now retail a select range of our professional grade products to consumers direct.